We partnered with O-Cedar and Mom It Forward Influencer Network to create this post, but all opinions are our own. Are dirty floors your nemesis? A lot of cooking goes on in my kitchen every day. Add muddy paw and foot prints to the splashes, splatters, spills, and crumbs, and my floor definitely requires regular maintenance. That’s why it’s important to me to use cleaners that work well, are budget-friendly, and not full of chemicals. 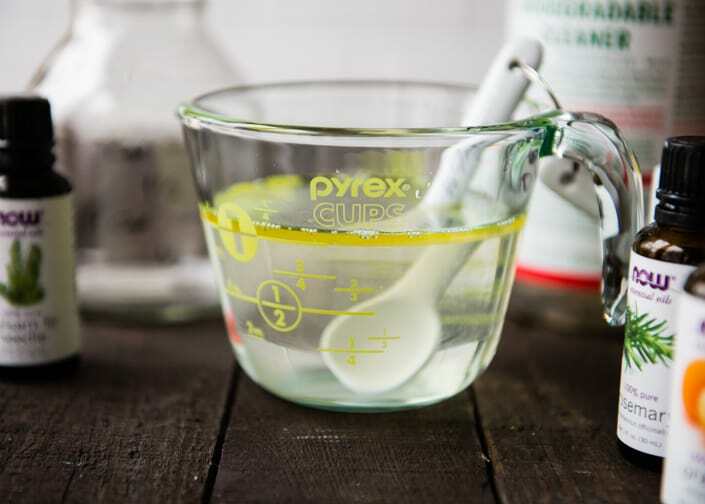 Enter this DIY Pine-Scented Floor Cleaner. 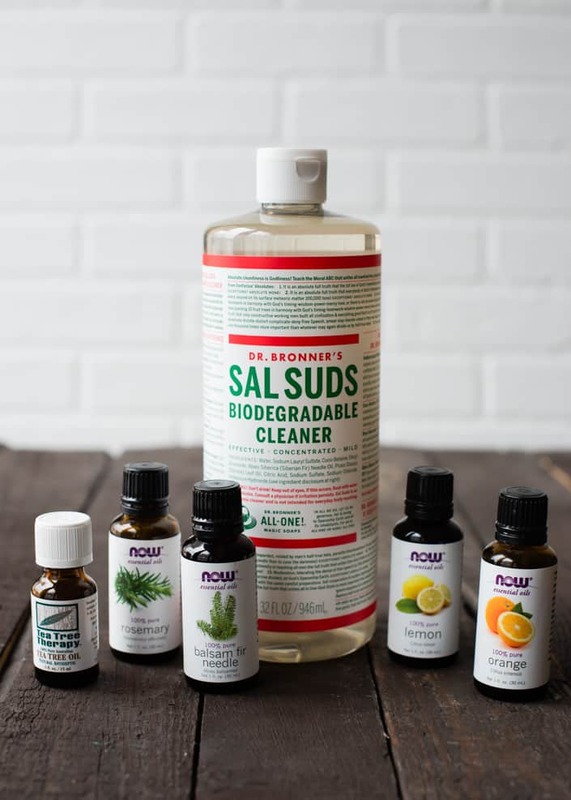 I’ve replaced many bottles of various cleaners in favor of natural ones. Since ditching my old floor cleaner in the kitchen, I’ve often used vinegar and warm water when mopping up messes, but let’s be real: it kind of stinks. 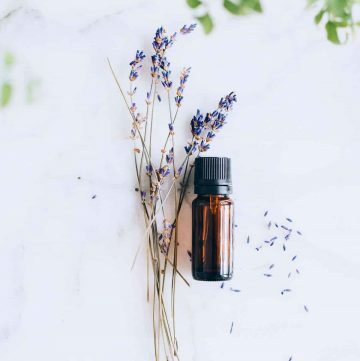 It was time to break out the essential oils and Sal Suds to come up with something that would work well and smell fantastic. While you’re free to choose any essential oils you have on hand, I went with pine. 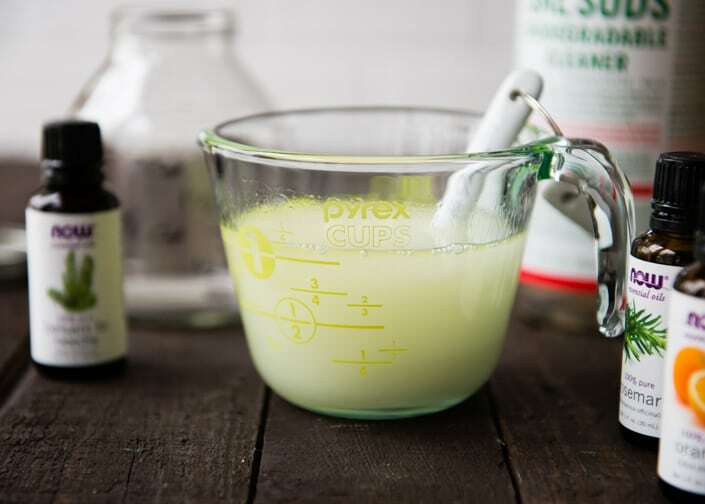 Balsam fir needle essential oil is one I use a lot when I make my own cleaning products; it kind of has an uplifting effect. To that, I added some rosemary and citrus essential oils, and tea tree oil for extra disinfecting power. 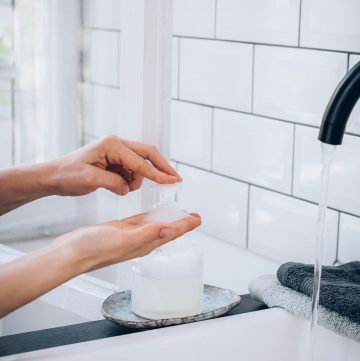 When working with Sal Suds, keep in mind that it’s highly concentrated, so a little goes a loooong way. 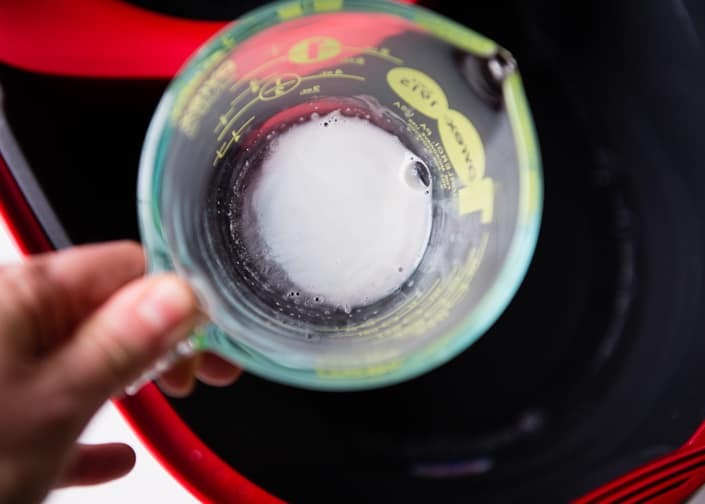 All you need is 1/2 teaspoon to 1 gallon of warm water. 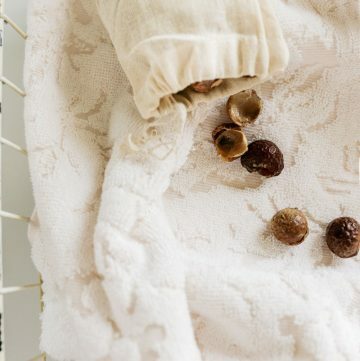 This pine-scented cleaner can be used on almost any floor. It smells amazing and cleans brilliantly! With the floor cleaning solution tackled, the next step is finding the right kind of mop. I’ve used (and tossed) many mops over the years. I grew up with a mom who regularly scrubbed the kitchen floor on her hands and knees at night when everyone was asleep. You’d be correct to assume that we could practically eat off of those floors. I don’t know how she had the time or energy to do that. I need an easier solution and a great mop to get the job done. Spoiler alert: I totally found my dream mop. 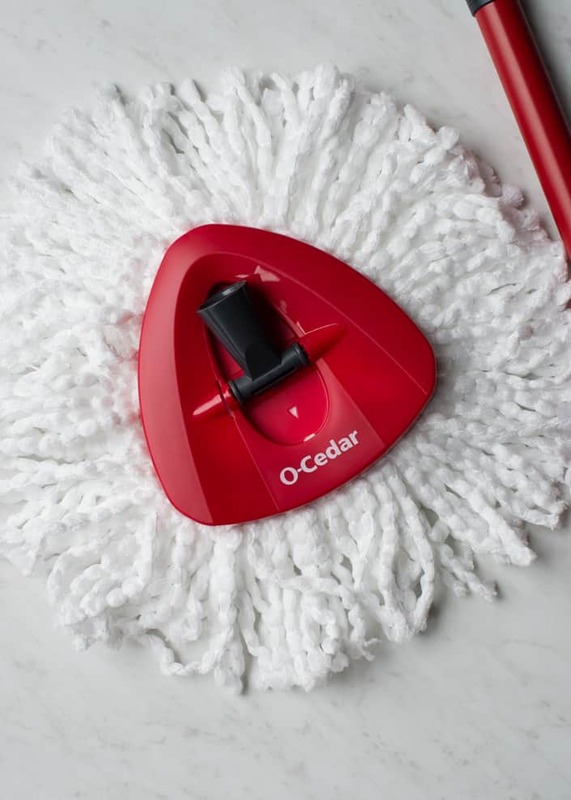 I kind of have a crush on this O-Cedar EasyWring™ Spin Mop & Bucket System. 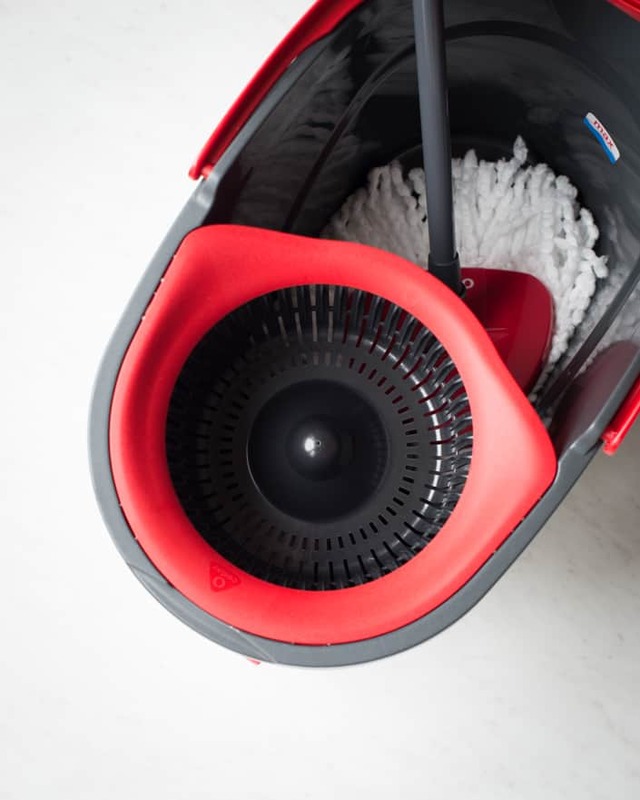 Not only does it have a neat-o dirt-grabbing microfiber mop head, it can be wrung just by stepping on the built-in pedal–no hands needed and no need to bend over either, making this mop easier on your back. How can you not love that, right? 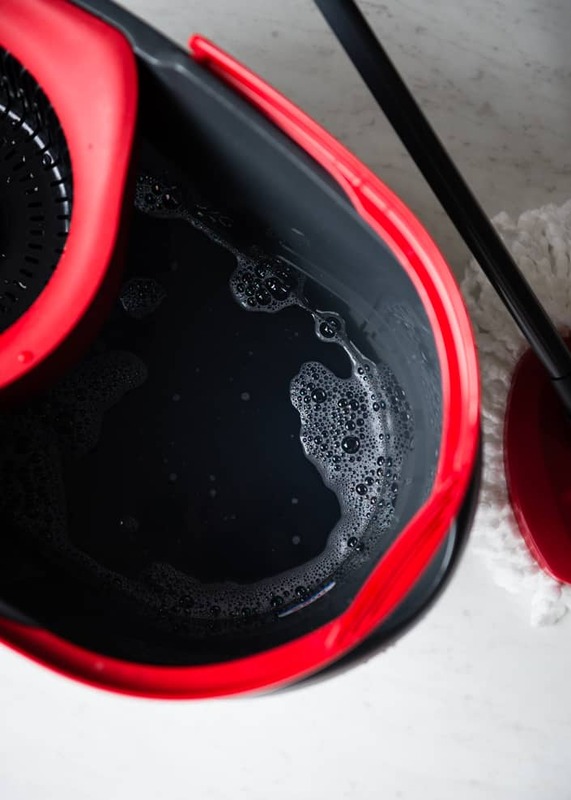 The mop spins and the number of times the pedal is pressed determines how damp the mop gets–more wet for sticky messes and less wet for a quick-drying once-over to get your floors looking fab for when you’ve got company coming over. The soft mop head also fits easily into corners thanks to its triangular shape and can be used on any floor from tile to wood to laminate–and no matter what surface you use it on, this mop won’t leave any streaks. 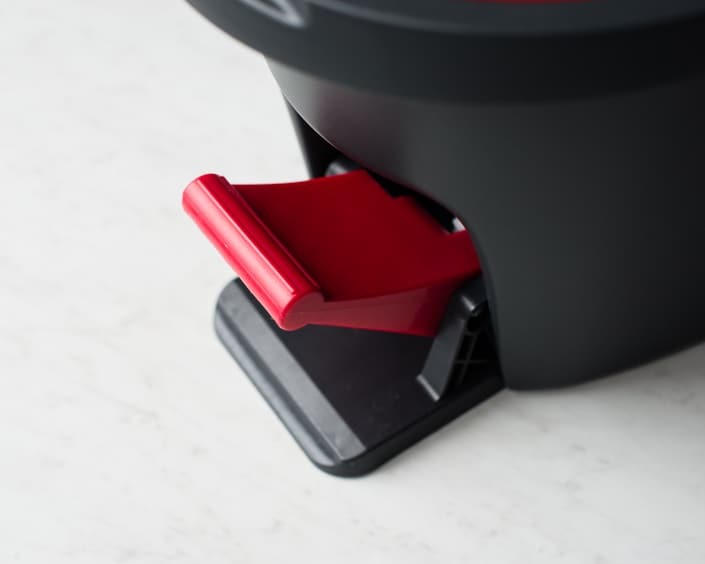 The other thing I love about the EasyWring™ Spin Mop & Bucket System is that there’s a splash guard to keep water inside the bucket when you’re wringing out the mop. Combined with my DIY floor cleaner, it’s a greener way to clean–the washable mop head reduces waste because you’re not throwing away disposable pads every time you use it. 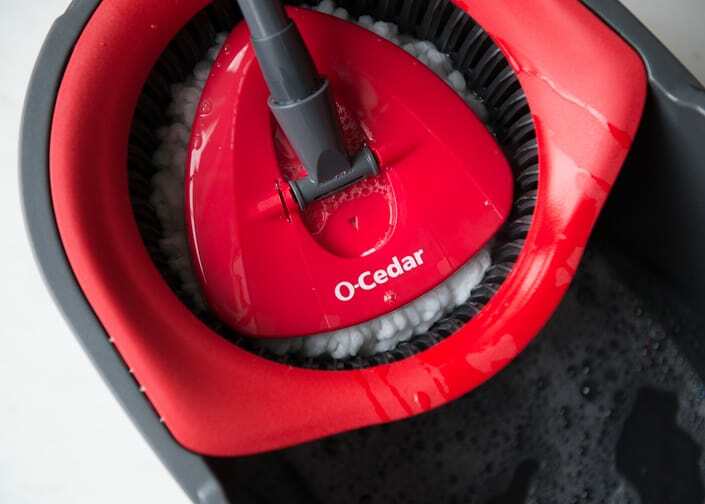 O-Cedar EasyWring™ Spin Mop & Bucket System is $39.99 and available at retailers nationwide. 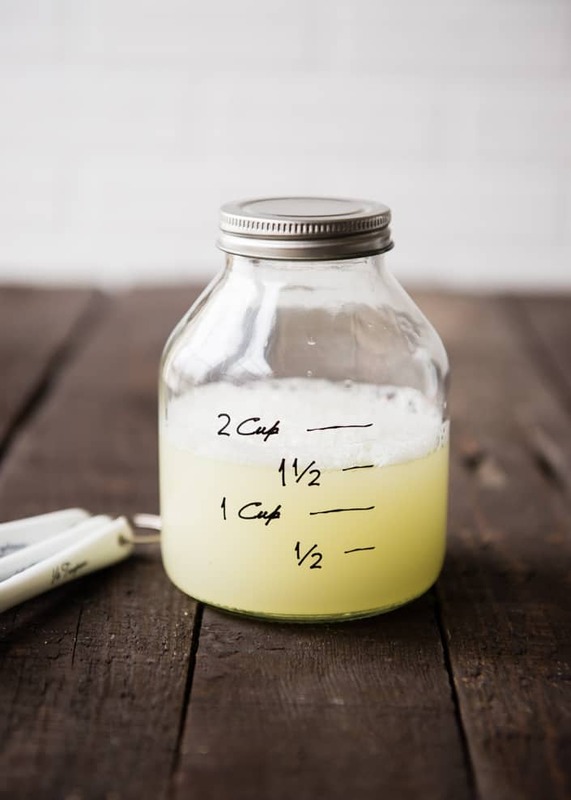 Back to the DIY floor cleaner: I’ve included instructions for making a single batch of it, as well as directions for making one big batch that will last you 6-12 months. The mixture will become a little cloudy when the oils are added. It may even thicken quite a bit. Keep stirring and it will thin back out again. This dream team–mop and homemade pine cleaner–worked magic on my dirty kitchen floor. 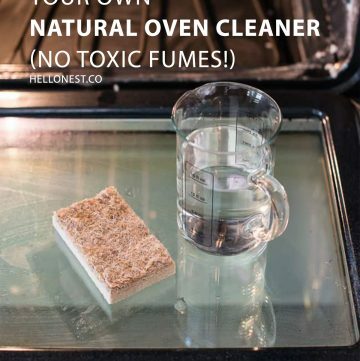 It’s easy, effective, and leaves my kitchen smelling fresh and clean. Win-win! 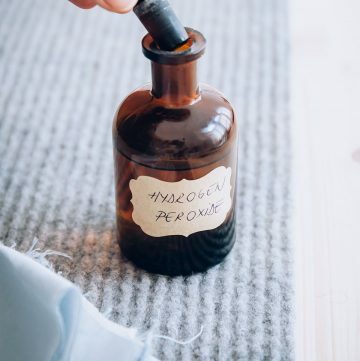 Homemade pine-scented natural cleaner for all floor types. Made with essential oils. Smells wonderful and cleans great! Fill a 2-3 gallon bucket with very warm or hot water. Combine Sal Suds and essential oils. Pour into the warm water and stir well. Use as needed. Is this safe for laminated floors? If so, can’t wait to try it. Yes! That’s what I’ve been using it on. It works great!